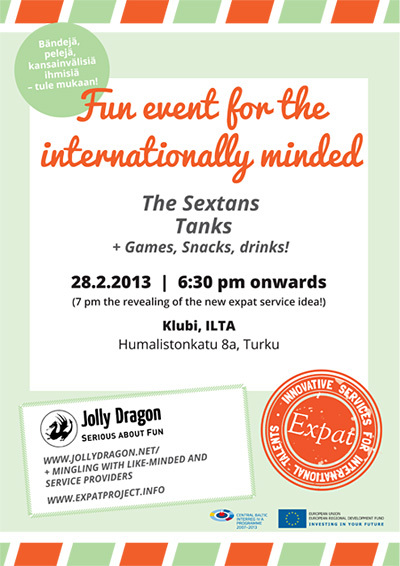 Welcome to the meet-up event for international minded! 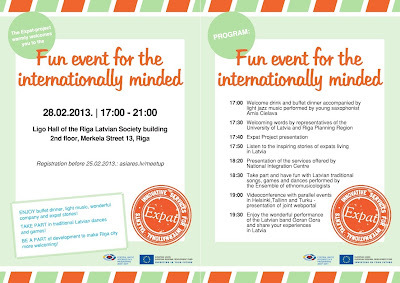 This is an event dedicated to networking and to learn our international community in Helsinki region. 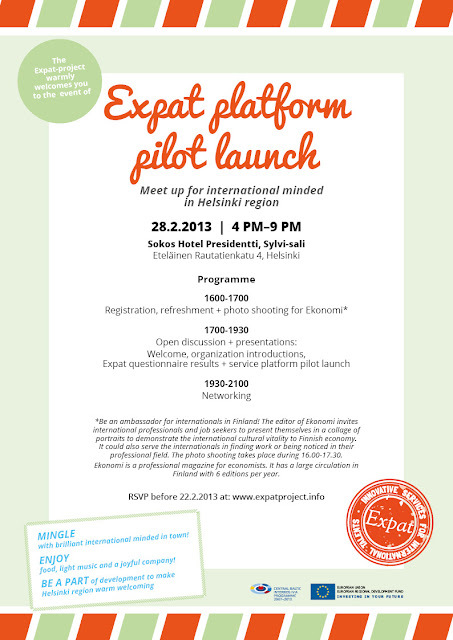 In the event, various local service providers, including Otaniemi International Network, Expat Meet-up, Virka info, Jolly Dragon, Maailma kylässä -festival and more are invited to introduce their services and mingle with our dear newcomers and locals. 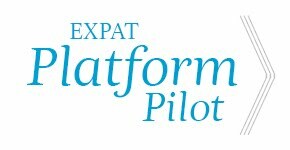 In the meanwhile, the Expat-project is going to reveal the outcome of the questionnaire dedicated to internationals and launch a service platform for development. Our honourable host in the event is Mr. Tino Singh. 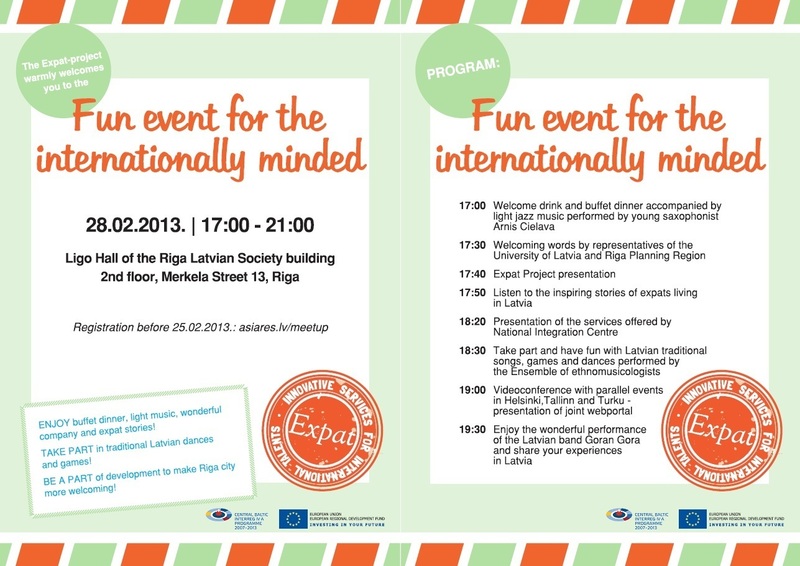 There are also local events at the same time in Turku and Riga organised by the Expat-project. For those local events, please contact us for more information.